In The Eyes Of The Beholder: Anxious And Plain Tired! 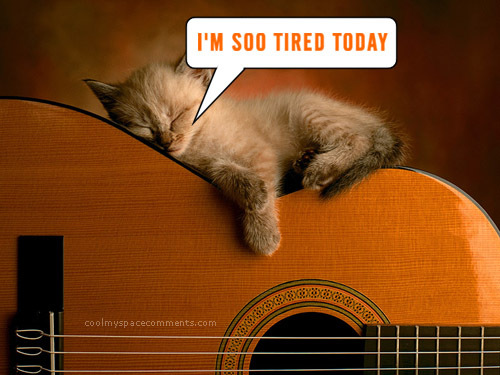 I'm so tired! I haven't gotten any sleep yet. I'm getting anxious of an intermission number that I'll be performing with other singers at work on our party this Saturday. I'm not only going to sing, it's my first time to basically do the accompaniment with my acoustic guitar on that intermission number. Sigh. I just finished learning the chords of the songs they wanted to sing. My hand hurt a bit. There's one other guitarist who'll help me out, though. We'll practice later. I hope I won't mess up. I'm just plain tired. I still have work after our practice later. Geez! What the heck did I get myself into?! LOL! This is a beautiful picture and a nice write up too! Thanks. Love your blog (I visit you from entrecard). Where did you get the title for your blog?